We at Wichita Tree promote preventative measures and maintenance first and foremost. However, occasionally, we have a customer who needs a tree felled. Our system of felling trees (a specialty of ours, by the way!) is much more efficient than cutting a gigantic tree into thousands of pieces, but we also do it safely. Our experts know how to bring down big, tall trees safely! The tree care specialists at Wichita Tree will conduct a (FREE) evaluation of any tree you’d like felled. During this meeting, the expert will discuss with you what your reasons are for wanting the tree gone and what your future goals are. He or she may offer suggestions such as planting more trees which may help you reach your long-term goal. The tree is diseased beyond any chance of recovery. The tree has root problems that will ultimately lead to growth or structural problems. The tree is crowded together with others. The tree has damage due to a storm. The tree had split, broken or fallen because it is old or weak. The tree’s roots are threatening to destroy property – driveway or walkway, underground pipes and septic systems, and home foundations. The tree is in a location where new construction will take place. Once the tree comes down, why not have it chopped into firewood or mulch for a path?! ​Don’t attempt to drop a tree yourself! It could result in harm to you or your personal property. Trust the professionals at Wichita Tree to do it for you! 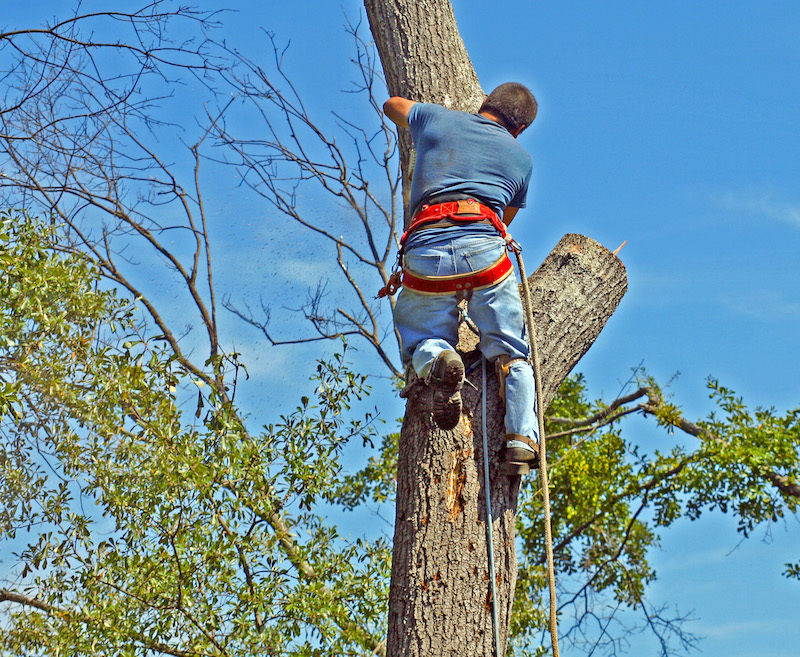 Call today (316-226-8733) for an absolutely free consultation and quote for our tree felling service!